In many unfortunate circumstances, a person has to rely on their own personal resources and abilities to get bailed out of jail. If you are facing a misdemeanor charge and have an active warrant out for your arrest, it is time to think about turning yourself in to the authorities. The sooner you turn yourself in, the sooner you can be done with the entire ordeal. With these tips on how to post your own bail, you can feel comfortable knowing what to expect and how to care for yourself in this restless and frustrating situation. If you are waiting to turn yourself in for an outstanding arrest warrant, you are making the responsible choice. The longer you avoid this responsibility, the longer the entire legal process will take. When you first decide to turn yourself in to the jail, consult a lawyer or public defender for advice and counsel. They can instruct you on how to facilitate the best process for your particular charge and criminal record. Many public defenders and lawyers will give you free advice and consultation, so take advantage of this resource wherever you can. Every case is different, so talking to a professional about each circumstance is a huge advantage before facing your warrant. Usually, for first-time offenders and minor legal infractions, the jail and bond process are quick and simple. But as mentioned, all cases are different and become more complex depending on an individual’s prior criminal history. 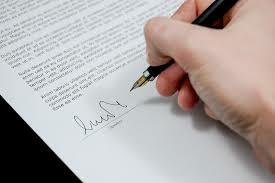 Once you consult a lawyer or public defender, be sure to strictly follow their instructions, and everything should work itself out the way they described it to you in your meeting. If you cannot afford or find a legal consultant, you can still get out of jail on your own. Continue reading and learn the basics on how to bail yourself out of jail. Once you have decided to turn yourself in to authorities, first call a local bail bond agency nearest to the jail you are turning yourself into. Talking to them first will get your foot in the door when it comes to processing all the paperwork. In some cases, the bail bond agent will have you fill out all the necessary paperwork and pay your fee, then walk or drive you to the jail themselves to finish your processing. Otherwise, they will have you complete all the paperwork and give you the instructions you need to feel comfortable going to the jail afterwards. Once you walk into the jail and tell the desk officer you are turning yourself in for an outstanding warrant, they will take you from there and give you all the instruction you need. You will then wait to go through an entire processing routine. They will take your picture, fingerprints, book you, and more. When you are finished being processed, the bail bond agency will facilitate your release and pick you up from the jail. Because you completed your paperwork ahead of time, you will be one step closer to completing the whole process. If you are unable to file paperwork before turning yourself in, it is not a big deal. The bail bondsman will simply take you back to their office and have you complete the forms then. Depending on the amount of traffic in the jail and the number of employees to defendants, the process can take 1-10 hours, and sometimes more. Generally, on a non-drug related charge, you can be expelled in just a few hours with the right bail bondsman. In even minor cases, you can be in and out in under an hour. If you are intoxicated, the law requires you to be sober for processing and booking. So wait until you are sober before turning yourself into jail, otherwise you will sit for at least 8 hours before they even consider processing you. 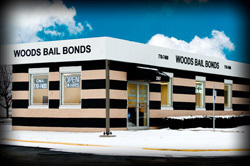 Call Woods Bail Bonds at 317-876-9600 and speak with James Woods, licensed bail bondsman in Indianapolis, Indiana. He and his team of licensed, bonded, and insured bail agents are friendly and extensively experienced in the indemnity industry. You can feel calm and comfortable speaking with them about your bail bond needs or questions, and know you are getting accurate answers and information. Call 317-876-9600 and learn about arrest warrants and our 24 hour bail bond services in Indianapolis, IN today. This entry was posted in Arrest Warrants, Post Your Own Bail and tagged 24 hour bail bond services Indianapolis, arrest warrant bail bonds, arrest warrant Indianapolis, bail bond company indianapolis, bail bond information, bail bond questions, bail bond services, bail bondsman Indianapolis, Outstanding Arrest Warrants. Bookmark the permalink.